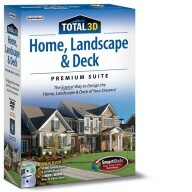 Total 3D Landscape™ does not require previous design skills. Whether you are creating an enchanting water garden, lively tropical garden, or a relaxing reading spot, all the tools and inspiration you need are included. 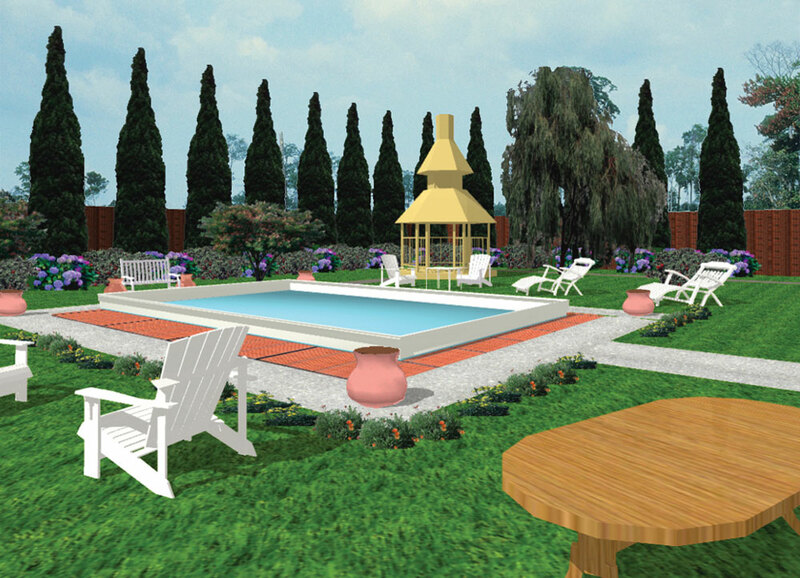 Sample Garden & Landscape Plans – Pre-designed plans that save money, time, and provide design ideas. 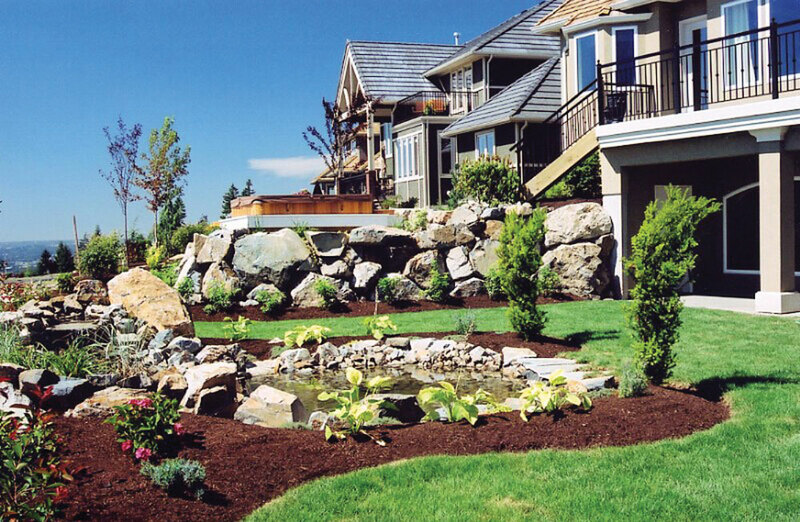 Smart YardBlock™ – Drag-and-drop to automatically create an entire lawn, deck, or pool. 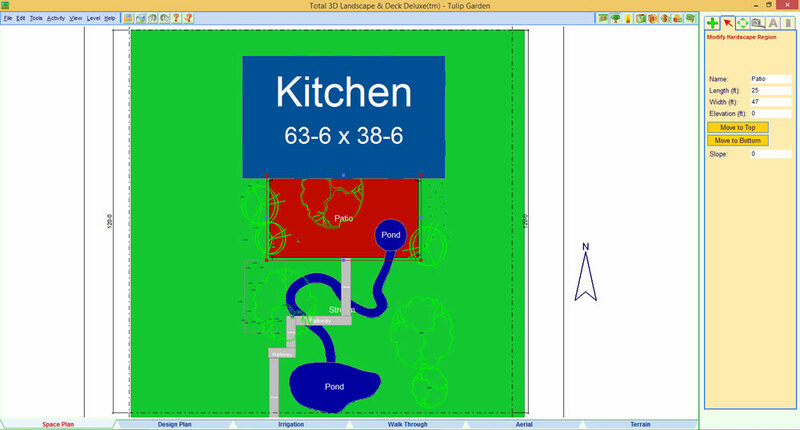 Scan & Trace Blueprints – Easily make changes to an existing design. 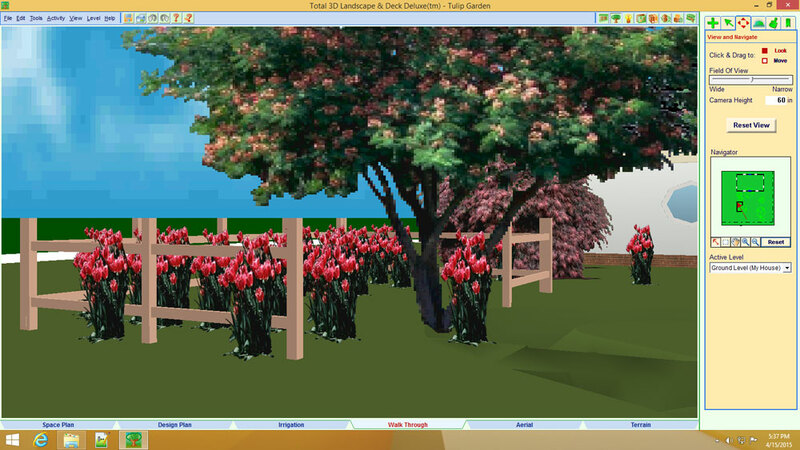 Color-Coded Design Plan – View your design in full color and easily identify furniture, plants, windows, fences, and more in your design. Video Tutorials – Tips for starting, designing, and viewing your plan. 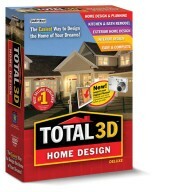 Import Digital Photos – Further customize your design by importing pictures into your design. 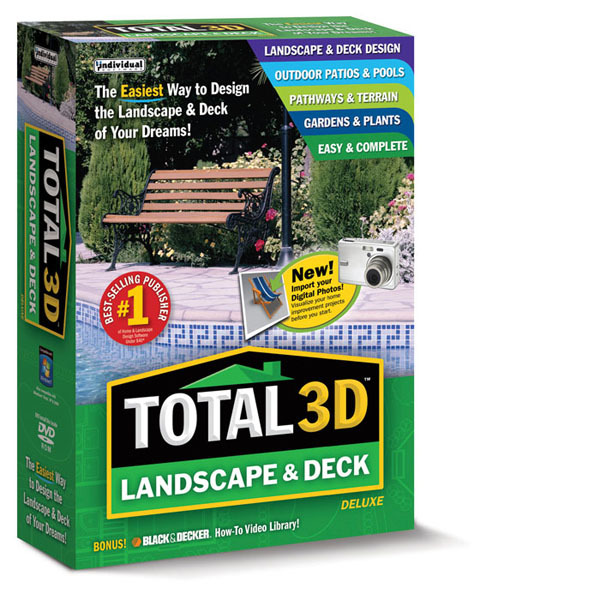 Want to see how your favorite patio chair will look on your new deck? Just import a picture of it! 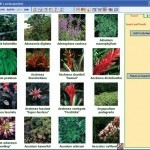 4,600 Item Plant Encyclopedia – Research and select the perfect plants for your garden based on 20 different characteristics. 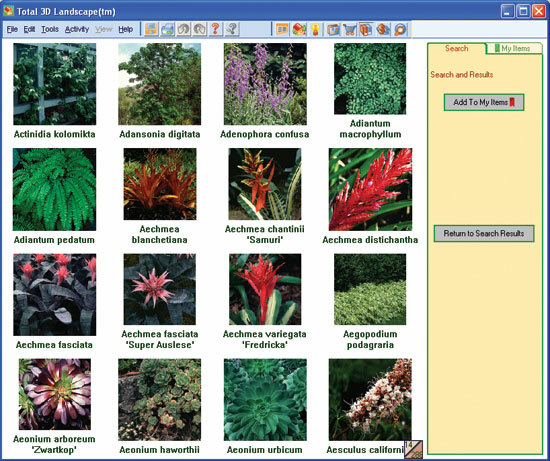 It’s the most powerful plant searching tool available.